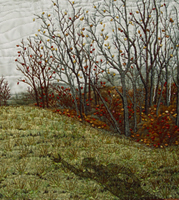 While I now prefer to work in a large format, these quilts were all somewhat smaller. 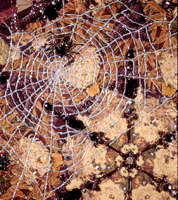 Some were made for a situation that required a specific size or were limited in total perimeter. 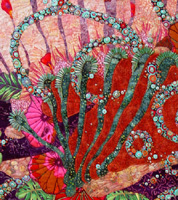 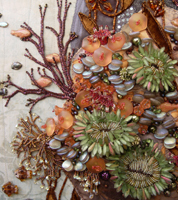 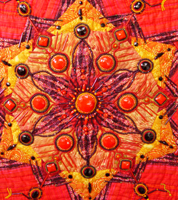 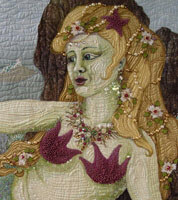 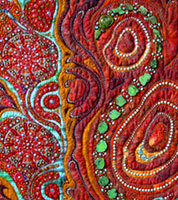 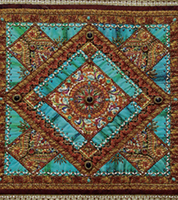 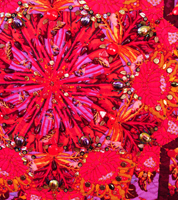 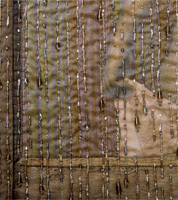 "Monterey Seascape" began my journey with beads on quilts, finding the balance between the beads and the fabric. 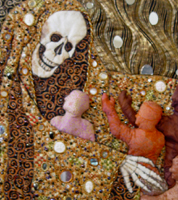 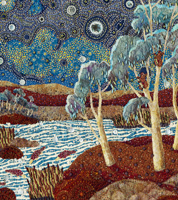 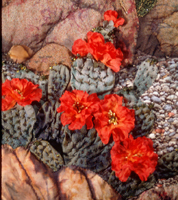 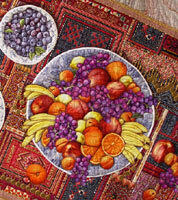 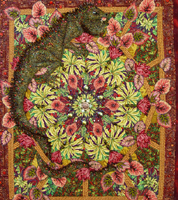 Again, the subject matter is varied, as some are based on ideas, concepts or particular beads, and some were for challenges or contests like "Still Life for Hoffman", "Siren's Song", and "Australian Dreamscape".